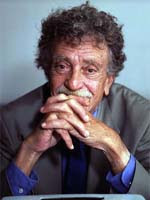 I probably read every book Kurt Vonnegut wrote twice and he most certainly influenced who I am today. Perhaps upon finding Bukowski they can share a drink together. and I hope they both run into Brautigan. yes - Definitely a sad day.